State-of-the-art instruments increasingly used in measured building surveys. Typically with less time on site compared to traditional survey methods, far more detail is recorded. 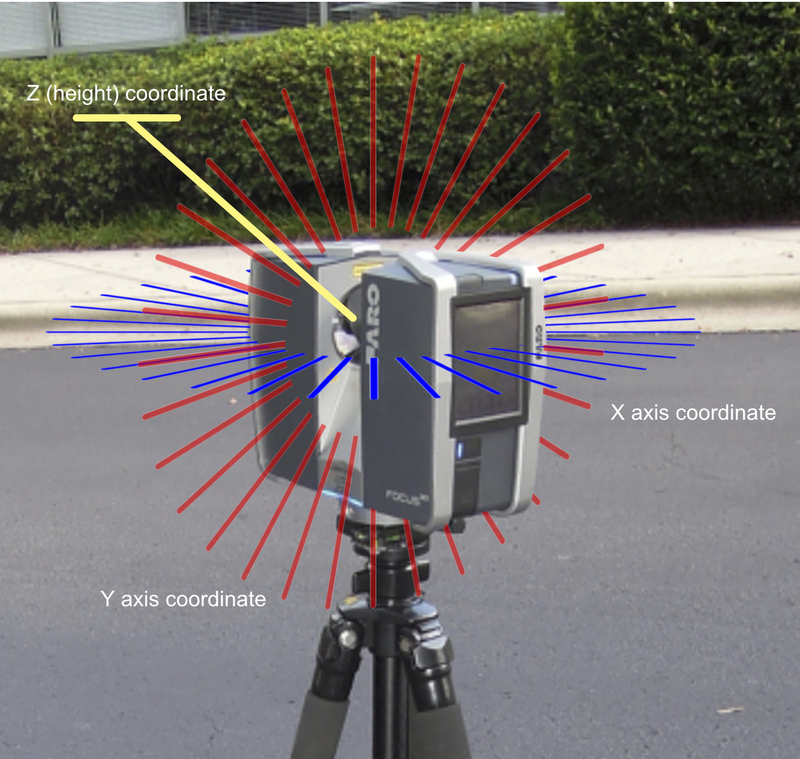 The instrument provides a point cloud that is comparable to a measurable 3-D photograph made of three-dimensional pixels. The instrument provides a point cloud that is comparable to a measurable 3-D photograph made of three-dimensional pixels. It is a non-intrusive instrument taking millions of measurements in a 360° sphere around itself. These individual point cloud spheres are then combined together in a specialist software. The resulting overall point cloud per floor is then imported into ArchiCAD a 3-D architectural design software. The building outline and details can then be either traced in 2 dimensions or modelled in 3 dimensions. Levels can be measured from any point in the point cloud. Dimensions can be taken between any two points.